for $109,900 with 6 bedrooms and 2 full baths. This 1,800 square foot home was built in 1925 on a lot size of 0.50 Acre(s). THIS CAN BE MADE INTO A WONDERFUL SHOWPLACE!! 6 LARGE BEDROOMS, KITCHEN, FAMILY ROOM, 2 FULL BATHS!! PROPERTY CONSISTS OF 3 FENCED, LARGE, LEVEL LOTS !!! 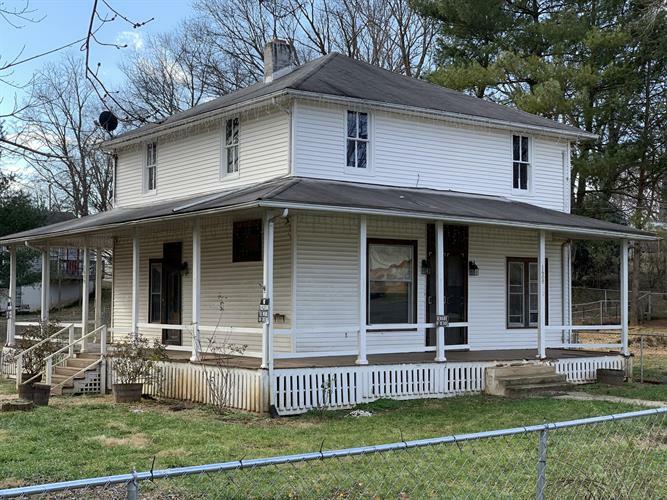 THIS HOME HAS ALOT OF CHARACTER AND SO MUCH POTENTIAL! GREAT INVESTMENT OPPORTUNITY! !LISTED BELOW TAX ASSESSMENT.SOLD AS IS, WHERE IS.